Get started in minutes with the DVK-BL652 Quick Start Guide! Laird’s BL652 contains the latest generation silicon with Bluetooth v5 capabilities and groundbreaking ultra-low power performance. 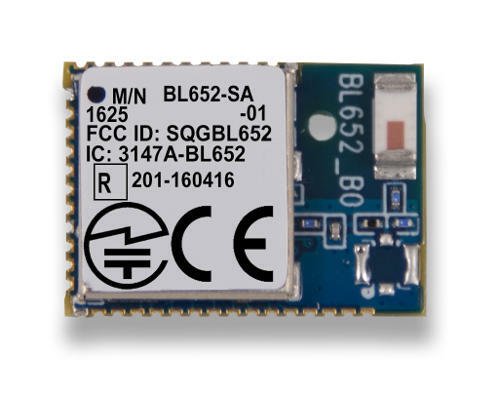 Building on the expertise of the BL600 Series, the BL652’s smaller form factor, class-leading Nordic nRF52 silicon, optimized low power schemes and smartBASIC programming language provide a secure, stable, hostless Bluetooth environment. 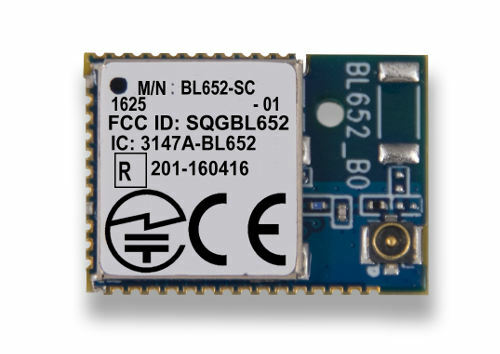 The BL652 introduces Bluetooth v5 (Firmware v28.7.3.0 or later) and NFC, bringing industrial security and feature expansion to Laird’s proven Bluetooth Low Energy modules. 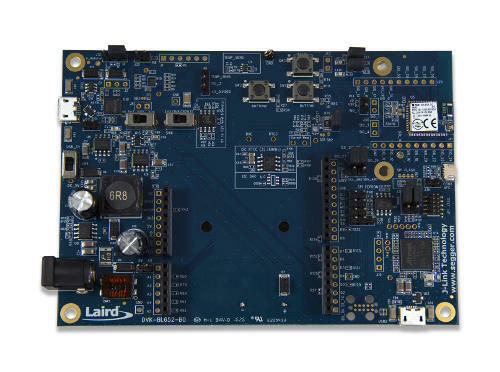 Let Laird’s innovative BL652 series and decades of expertise in Bluetooth module design speed your product to market. Download the NEW UwTerminalX as well as the two companion applications: MultiDeviceLoader and TermNotify. See also Laird's BL652 Sample Applications library for a collection of working examples.